For alternatives please phone 03333 44 80 44. With a genuine metal frame and metal keypad, this digital cordless phone adds a touch of luxury to your home or office. A large colour display in highest quality is easy on the eyes and its Bluetooth connectivity means you can use it with a compatible headset for convenient hands-free calls. Names and numbers of your friends, family and important contacts are easy to manage in the generous address book with space for up to 500 vCard entries. And keeping it up-to-date is simple with synchronisation via Bluetooth or mini-USB. 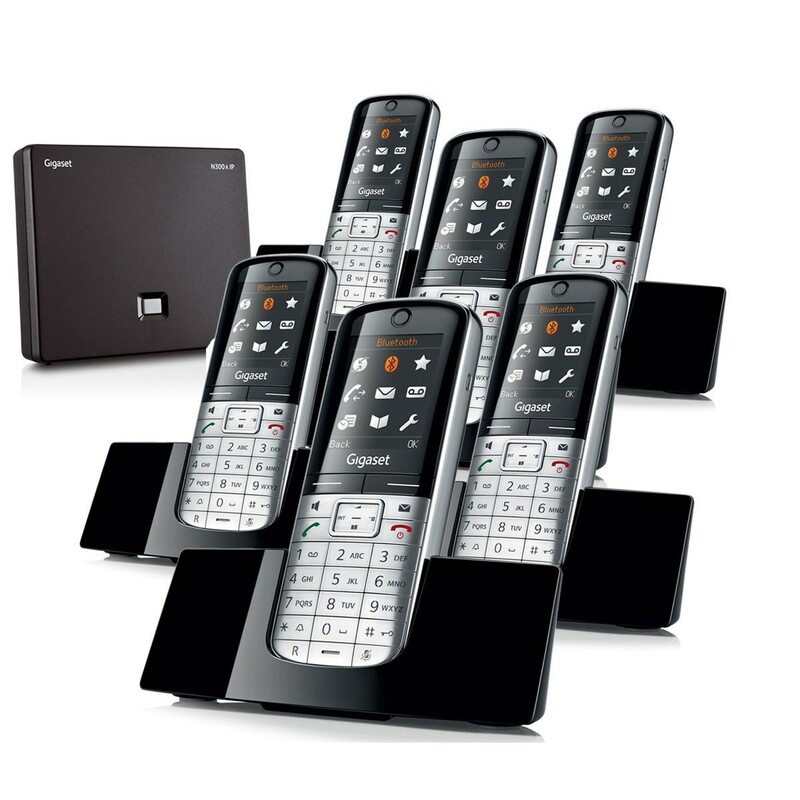 ECO DECT technology means you use less energy and save money with the Gigaset SL400A IP – while also reducing radiation. The benefits of VoIP means that you can take advantage of cost-efficient internet telephony with the attractiveGigaset SL400A IP cordless phone. This smart hybrid phone is the ultimate in modern communication. It lets you easily switch between internet and fixed-line calls and is expanadble up to 6 handsets so is a scalable future-proof solution. Providing you with everything you need to avoid missing important phone calls, the Gigaset N300A sports a digital answering machine with half an hour of recording time. You can also use the built­in memory for recording phone calls in progress. Your messages will be accompanied by date and time information which will be announced by voice. Why Should You Buy this Accessory? 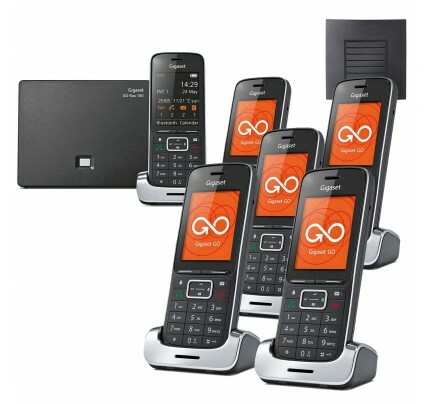 The Gigaset SL400A IP is a stylish phone that offers the benefits of VoIP and landline in one package making it an ideal choice for home or business. We offer a range of delivery options, depending on the product you’re buying and where you would like your order delivered. Find out more about our delivery options and returns policy below. Free UK mainland delivery is available on eligible orders over £50. The Standard Delivery charge for orders under £50 is £2.99. Please allow 2-3 business days for delivery. Available on selected products for only £5.99. Order must be placed before 3pm to ensure same day dispatch. Available on selected products for only £6.99. Order must be placed before 3pm on Friday to ensure same day dispatch. For more details please call 03333 44 80 44. Returns Policy: Our Fuss Free Returns policy means you have an extended period of up to 30 days to notify us if you wish to cancel your order or exchange an item. For more information on our returns policy please click here. © 2018 LiGo Electronics Ltd. All Rights Reserved.